With a variety of 12 interesting flavours on their menu, TBH has your palate needs covered. 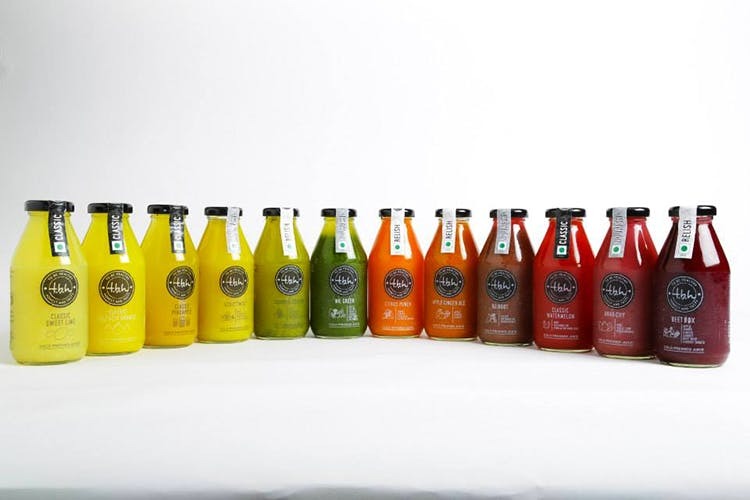 The Classics section includes options that boast of one sole ingredient and its raw flavour, while the Relish section offers a perfect post-work out drink, brimming with variants that are high on nutrition content. The Nourish section has juices that are a mix of a variety of healthy ingredients that aid your body’s daily fix of vitamins and essential nutrients; we love the Citrus Punch. A fresh, healthy and delicious alternative to dairy milk is the Cold Pressed Nut Milk. Very light and low on calories, it’s also packed with flavour. People who are lactose intolerant can opt for this as well. With lingering flavours of vanilla and cinnamon, the Vanilla Almond is a great way to begin your day. If you’ve suffered flavourless health food in the past, the Chia Pudding is the perfect remedy. Full of chia seeds, this dessert is high on protein and you can choose from two flavours: Banana Kiwi and Mixed Berry. This post was first published on Gluttony Goddess here.